Are you thinking about getting a pet Iguana? There are a lot of things to know and consider before you make your final decision. It’s essential that you understand all the responsibilities that go along with owning a pet iguana. So, do iguanas make good pets? Here are six key facts to help you decide if an iguana is the right pet for you. That cute little iguana that you see at the pet store isn’t going to stay that way. Be prepared for your pet iguana to reach about 6 feet in length and weigh about 20 pounds at maturity. And, they grow very fast! As you might imagine, a 6-foot-long, 20-pound reptile is going to need a lot of space. 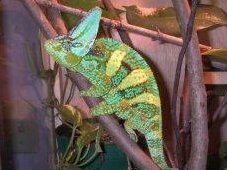 Your adult iguana will need an enclosure that is at least 6 feet long, 6 feet wide, and 6 feet high, and a delegated small room or sunroom is much better. Expect your baby iguana to grow out of his terrarium within a years’ time and be prepared with a more spacious alternative. Most iguanas have been imported from South America, so they require a similar climate. That means they need it hot and humid in their enclosure at all times. You will need to keep their pen at around 80 or 90 degrees during the day, and no less than 75 at night, all year long. Since they get most of their hydration through their skin, you will need to ensure there’s plenty of moisture in the air. To keep them from getting calcium deficiency, a UVB light source is required as well. A full-grown iguana can do some serious damage with its tail. In fact, they have been known to break arms with their tails. You’ll need to remember that iguanas are not domesticated pets; they will always be somewhat wild. And their tails aren’t their only weapon; their teeth are extremely sharp and dangerous, too. Be prepared for your new pet to leave anywhere from 15 to 20 years. That’s a big commitment of both time and money. Purchasing all those heated specialty bulbs and fresh produce (don’t ever give your iguana meat) will really add up throughout its lifetime. They also become extremely docile over time. Although a baby iguana can be quite entertaining, and adult iguana will spend most of his time basking in the sun (or under the heat lamp). Adult iguanas are rather lazy. Although a little iguana is cute, don’t expect him to cuddle like other pets. You should handle your iguana daily though, and he may even enjoy climbing around on you. Just remember, those claws are sharp, and for most iguanas, their first instinct is going to be to try to get away and hide. And their tails can fall off too, so watch out for that! Having a pet iguana is certainly not for everyone, so never get one without careful consideration! 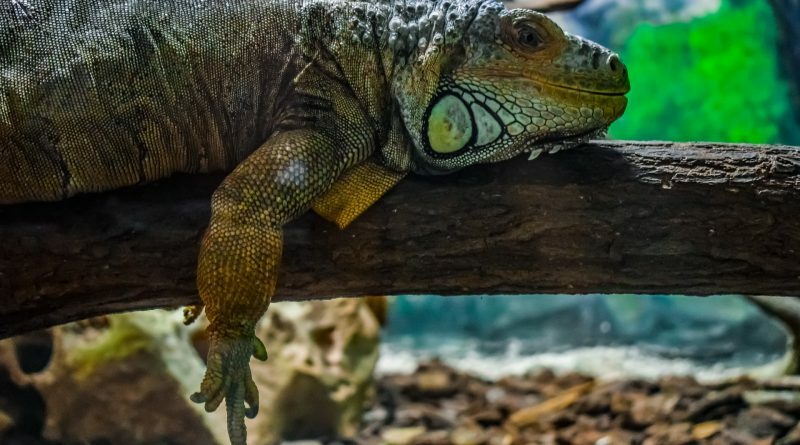 They are really cool, and they can be an amazing focal point in your home, but make sure you have the proper resources and knowledge to care for one before you take the leap into iguana ownership.